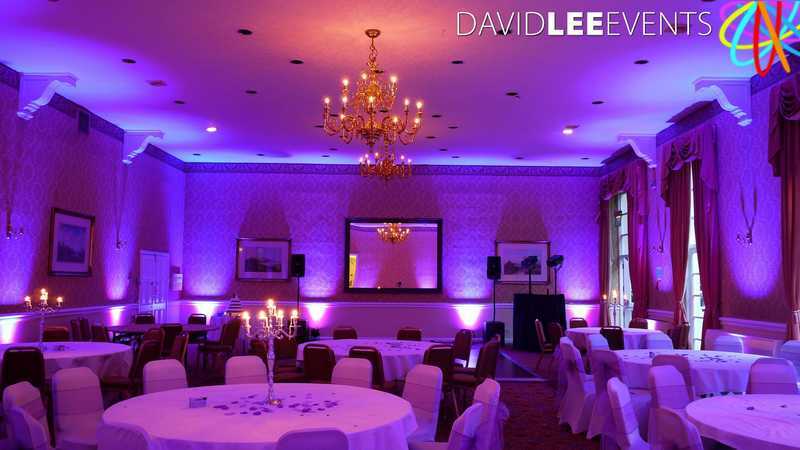 Shrigley Hall has two main function rooms, the Tilden & The William Turner Suite. 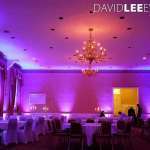 The larger and grander of the 2 suites is The Tilden Suite . 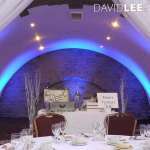 It is one of those venue rooms that really make an impact the moment you walk in. 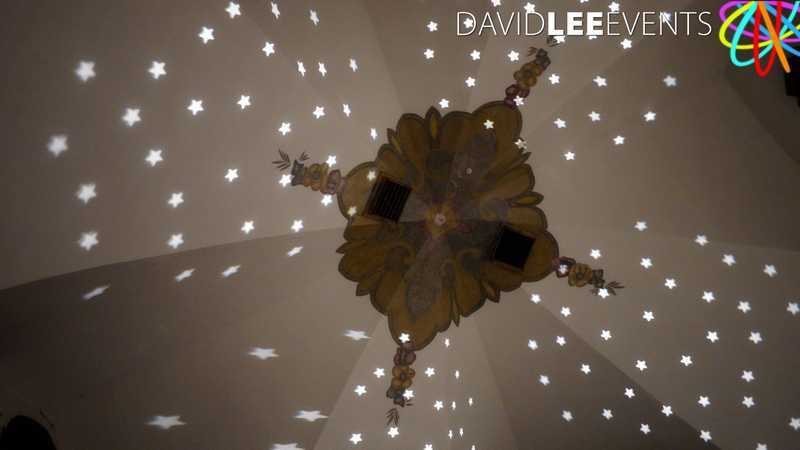 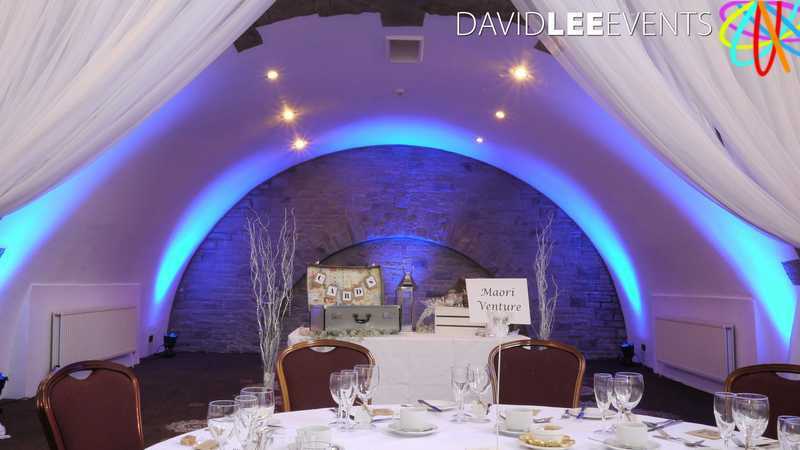 The Alcoves, the domed ceilings, it just really lends itself to lighting like no other. 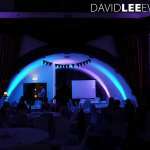 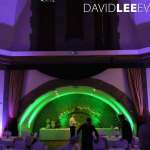 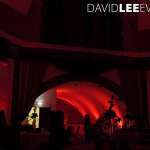 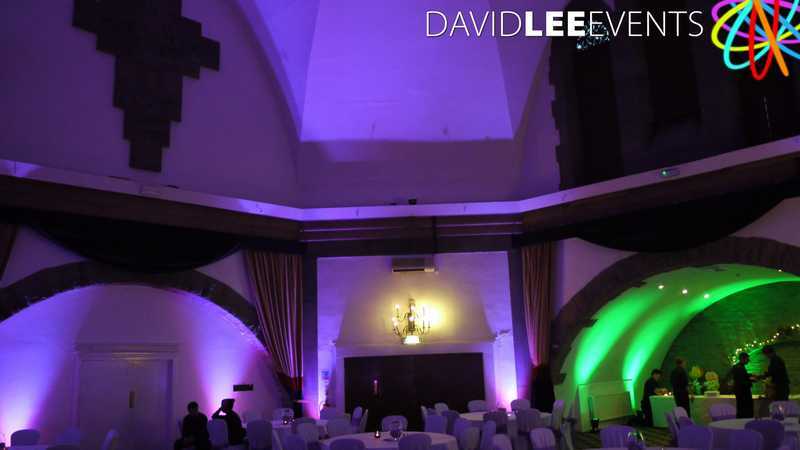 I have installed my uplighting in this venue on numerous occasions. I have attached a couple of photo’s below but they really don’t do the uplighting any justice. 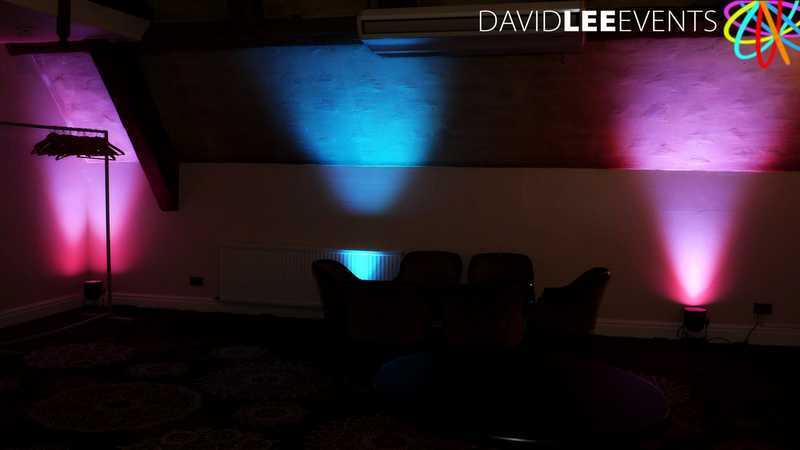 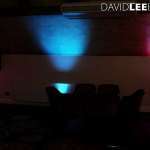 I have put the uplighting on blue, red, purple, green & purple and Tutti Frutti. 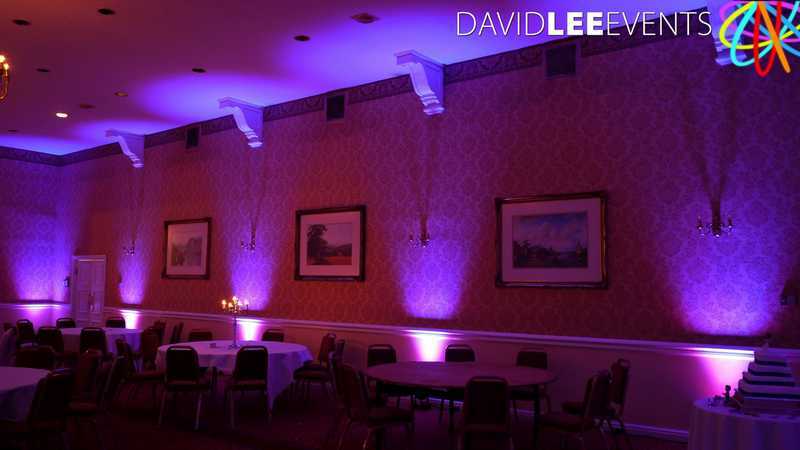 Each colour really creates a great impact due to the light coloured walls. 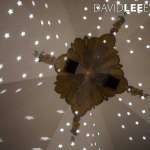 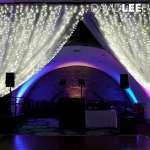 I have also projected stars on to the ceiling on a slow rotation creating a lovely starry ceiling, which worked really nice with the uplighting. 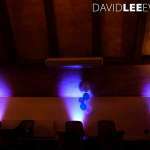 Unfortunately By the time I came to collect the lights in the evening, all the room lights where on, and mine where off. 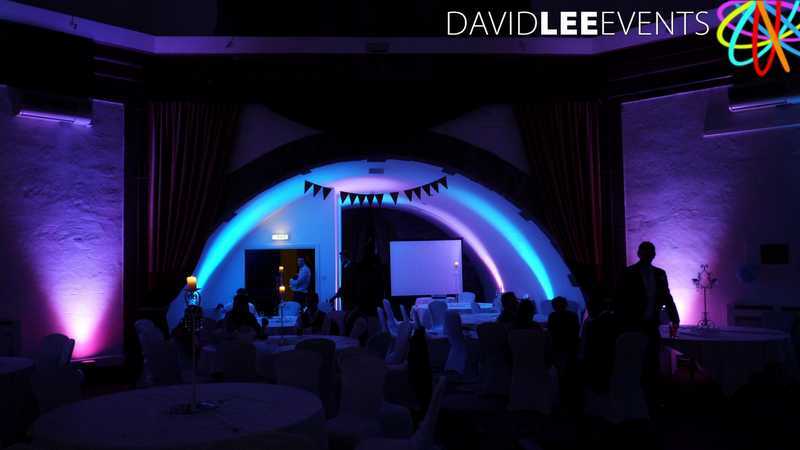 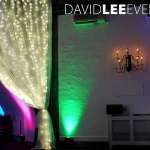 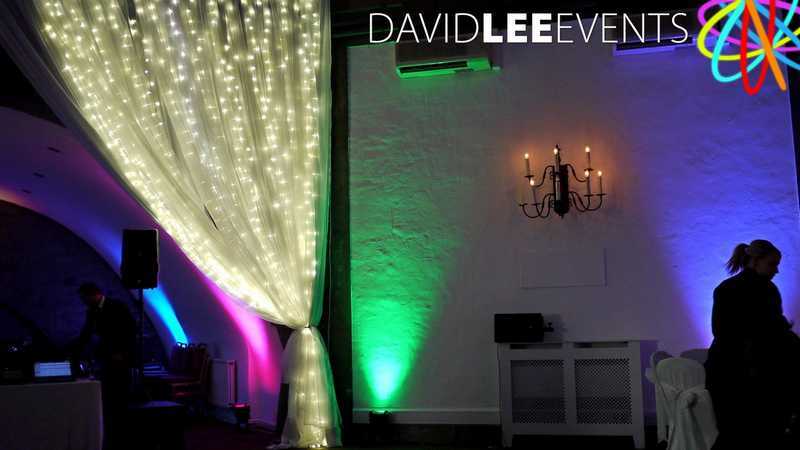 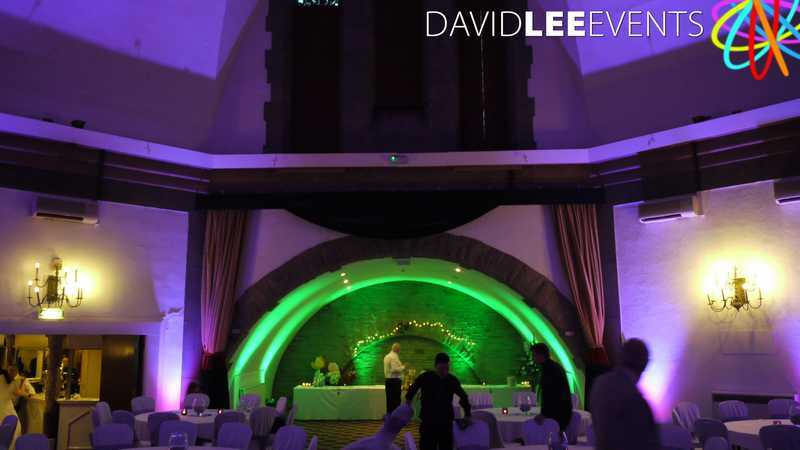 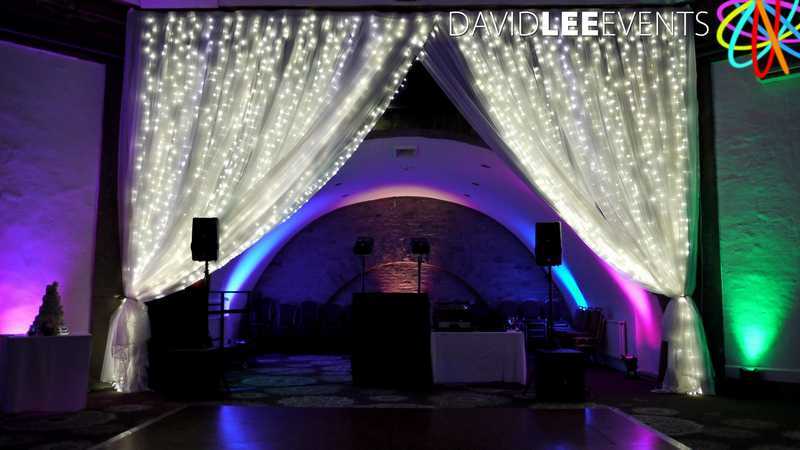 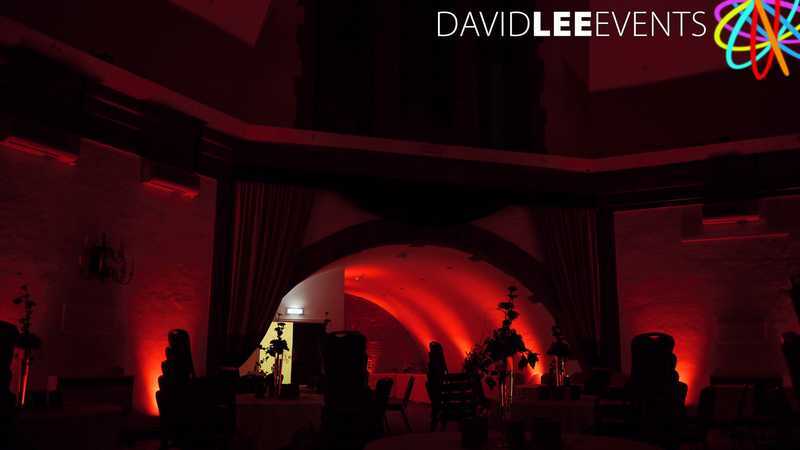 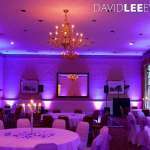 So what ever your colour theme is for your wedding or event, weather you want your name projected, or images on the ceiling or walls here at Shrigley Hall, please get in touch and I’ll see what I can do for you. 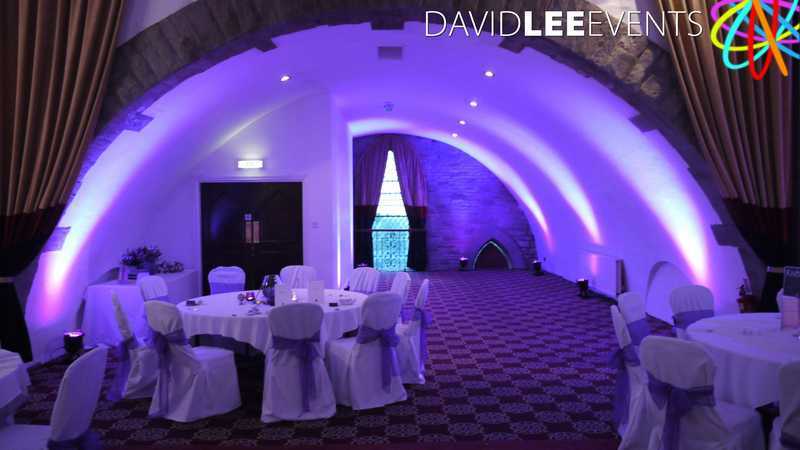 Is a more conventional but equally impressive function room to hold your event. 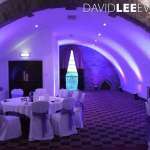 With grand mirrors and chandeliers , sunken in the side of a hill it’s still a lovely place to hold your wedding reception. 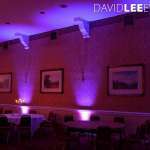 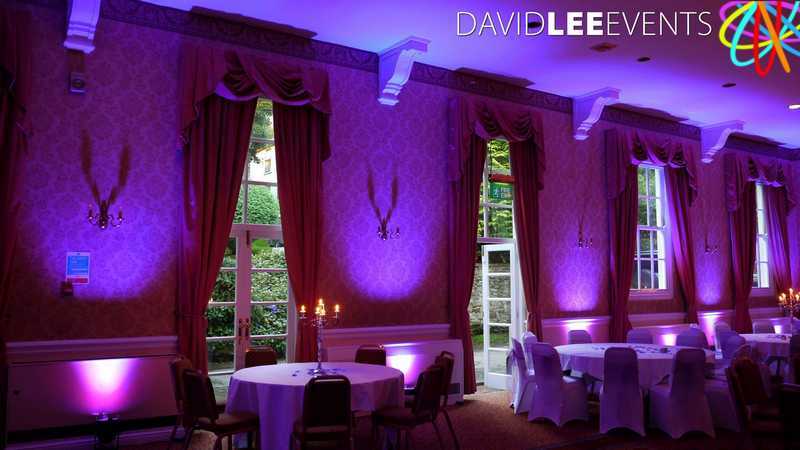 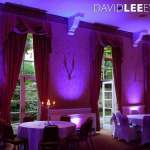 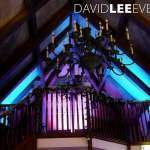 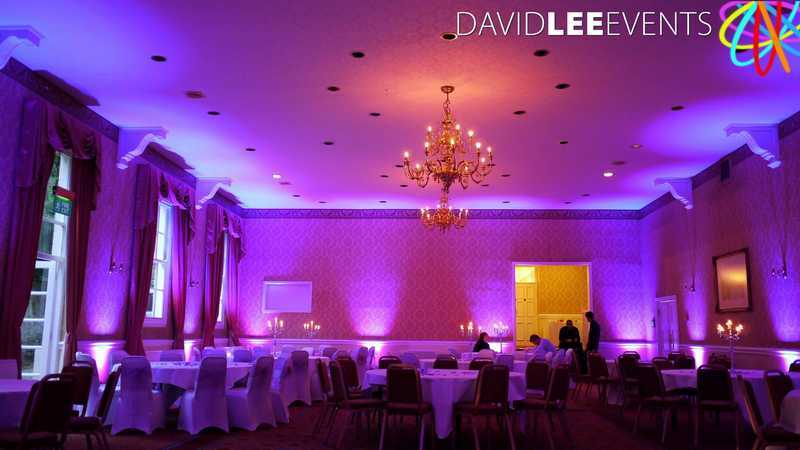 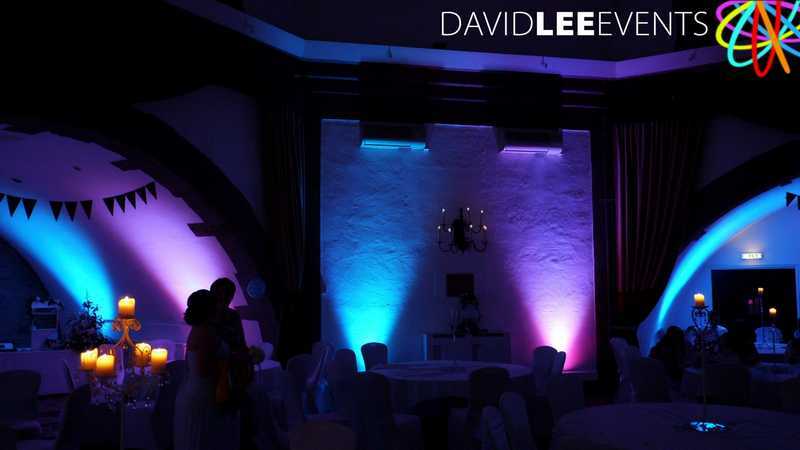 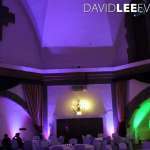 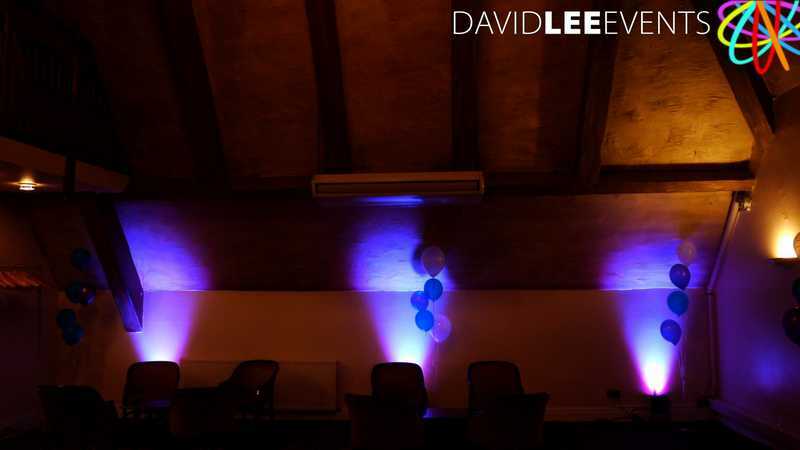 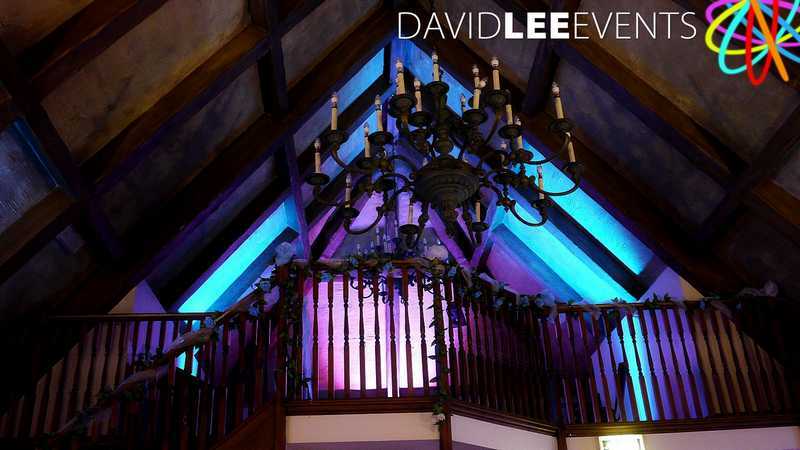 On this occasion I installed Purple Uplighting and it really suited the room, and really helped create the right atmosphere the client required.